When I was absent from blogosphere for almost a year, I missed out reading my favourite blogs and chatting with my lovely blog friends. When I came back I found that there were many new food blogs, more than I had on my google reader! Among the lot, I found some really unique and interesting food blogs with beautiful narration and well presented food. 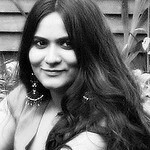 One such blog was Look Who’s Cooking Too by gorgeous Nisha. I found her blog by accident but falling in love with her blog was no accident! Nisha shares wonderful recipes from her home and abroad, and the goodies she whips up in her London kitchen is something that will leave you drooling over your keyboard! It’s my joy to bring Nisha to Monsoon Spice kitchen. You can keep in touch with Nisha by become her friend on Facebook. The great thing about blogging is the fact that you make so many friends in the virtual world, and somewhere along the way you are so itching to meet them face to face and talk about all things food and photography related. Sia of Monsoon Spice is one person I'd like to meet some day and if lucky, get to taste some of the amazing food she makes as well. Although Monsoon Spice had a permanent position on my bookmarks bar, it was only recently that I got to befriend the gorgeous person (with gorgeous hair, if I may add) behind the blog. Thanks to Facebook, I now not only wish to see Sia, but also her lil dumpling who is simply the cutest. 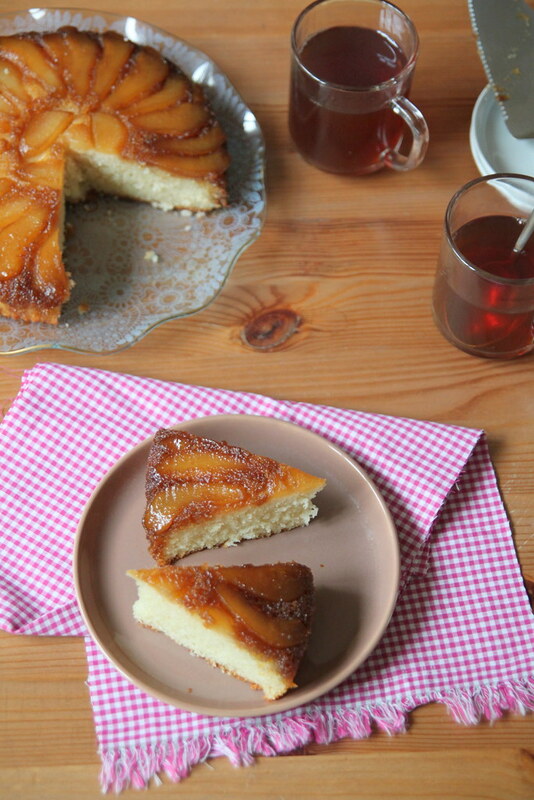 Her gorgeous blog is nothing short of perfection and her recipes are worth devouring into. Her Spring Onion Moong Dal, one of my absolute favs, still saves me on a rainy day and I have bookmarked quite a few recipes to try, with the Mirch ka Achar (seriously, I'm drooling just thinking about it) she recently posted topping the list. So imagine my delight when she asked if I could do a guest post for Monsoon Spice while she was on holiday. 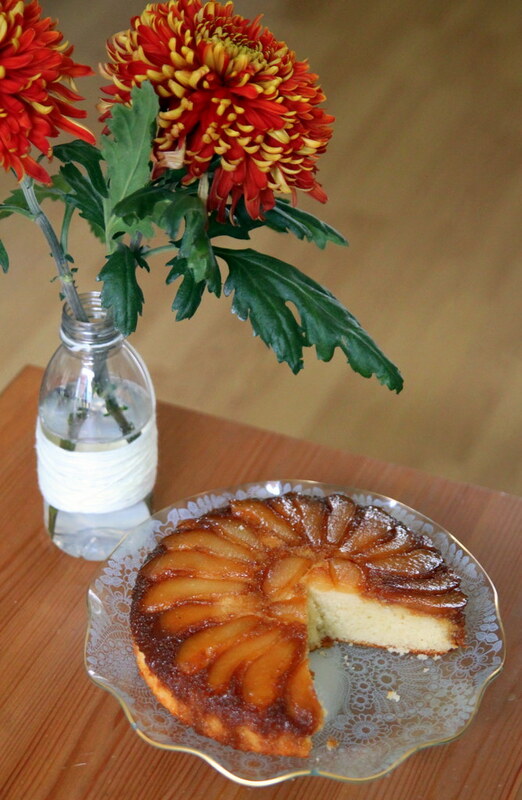 Of course I wasn’t gonna pass and so here I am with a delicious Caramel Pear Cake which is divine and EASY. 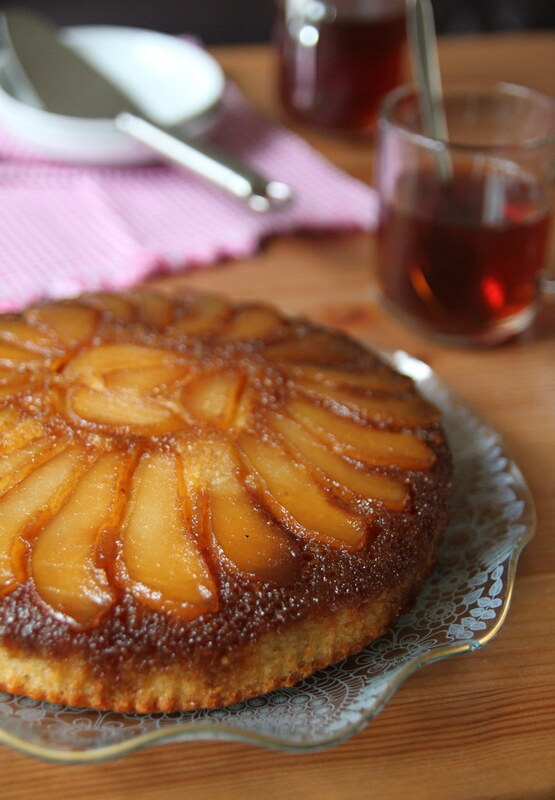 The base is a French yoghurt cake which is so easy to put together and even an amateur baker can do it. Trust me when I say that because this was the first cake I learnt to bake on my own. It has never failed me and no matter how hard you try to goof up, the end result will always be good. The cake is also my base for any fancy schmancy cakes I want to make and can easily adapt to any flavour, fruit, topping, frosting or simply on its own. 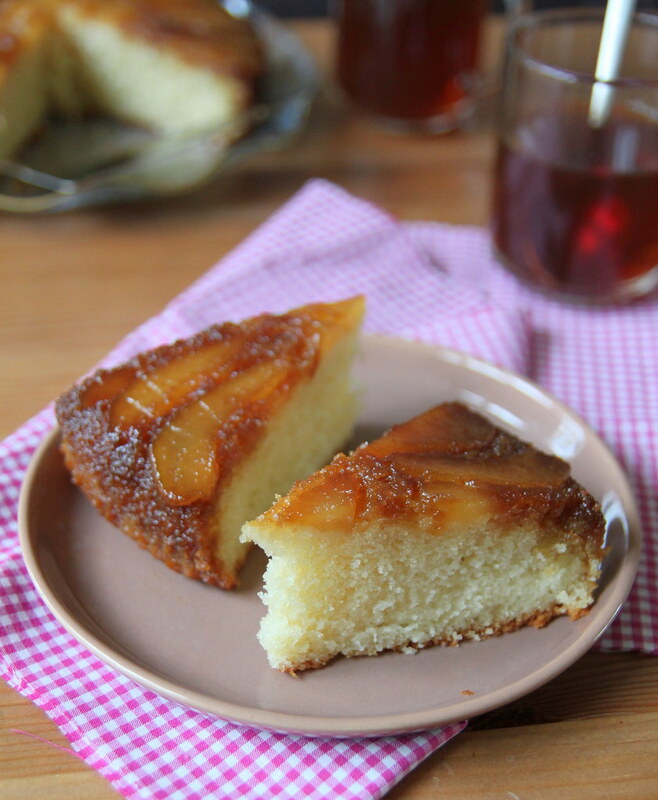 I particularly like the upside down cake combo because the caramel kinda bubbles up when its baking in the oven causing an overall caramelised effect and the cake becomes more like a sponge pudding which you can never say no to. 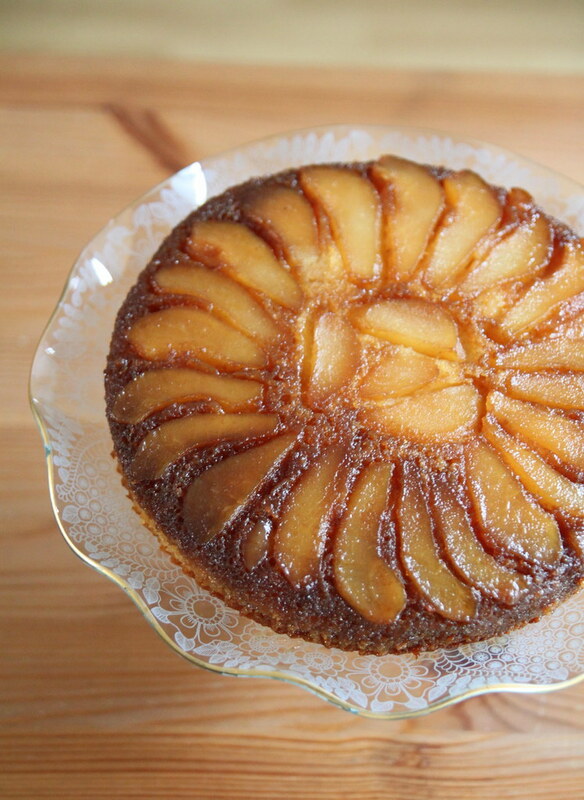 So without rambling further, here is an utterly delicious Caramel Pear Cake you can bake for the holiday season. Serving Suggesion: With whipped cream or even ice cream. But I love it on its own. Butter and line a 9 inch cake pan and arrange the pears slices in a circle at the bottom of the pan, starting from the outer edge. Keep aside. Place a saucepan over medium low heat and melt the sugar and butter. Once the mix begins to bubble and caramelise a bit, swirl the pan and if required stir using a spatula and take it off the flame. Gently pour it over the pear slices, making sure you don’t disturb the pattern. Keep aside. Centre a rack in the oven and preheat it to 175C. Mix together the flour, baking powder and salt in a small bowl. Into a separate mixing bowl throw in the sugar, eggs, yoghurt and vanilla extract and using an electric beater or whisk beat it all together till well combined. Still whisking, add the dry ingredients bit by bit, making sure no traces of flour is seen once you are done. Finally, pour the oil into the mixture and using a spatula fold it in. Don’t mix it too vigorously. Bake for about 45 to 50 minutes or until a skewer inserted into the centre of the cake comes out clean. Take it out of the oven and let it stay on a wire rack for about 5 minutes after which you can say a little prayer and turn it upside down onto a serving plate. If you don’t have dark brown sugar, use the light one instead. Use a blunt knife to first run it around the edge of the pan to slightly release the cake and then invert. You can literally use any fruit of choice and do the above procedure. I have tried the same with peaches, plums and apples and it has always worked out great. A splendid cake! So droolworthy. Me too a big fan of Nisha's space, love that caramel topping with peas, good to see her lovely post here. Wowo i want double slices, looks super super yumm Nisha. Lovely one!! Will surely try this wid Apples!!! 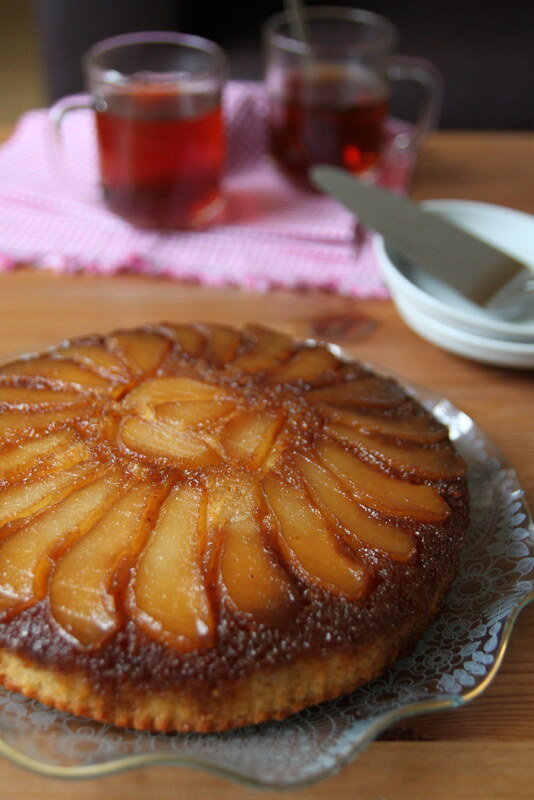 Can I make a Pomegranate upside down cake!! :P Sounds weird?? But what if I crowd the bottom layer with it and Caramel on the top?? Will that work?? Wow, Perfect treat for the winter...Bookmarked to try. I have always been terrified of upside down cakes! This post makes me a little more confident. I just made this beautiful cake as a surprise for my husband on our anniversary. I am one of your silent followers and absolutely love your recipes. Thank you very much.